Welcome! The Eastlake Park Group is a local member group of Christian Family Schools. We are a group of parents that wish to support each other through this journey of home education. Our goal is to serve the Lord by helping other families who have chosen to teach their children at home. ﻿We partner together﻿ to gain wisdom, knowledge, understanding and encouragement through meetings and fellowship. We wish to enhance the home school by providing opportunities for our children to develop friendships, character, strong family values, and educational standards. We hope to accomplish this by building relationships through activities, field trips and park group. Our group is run solely by parent-participation. We are all volunteers trying to serve the Lord and each other. 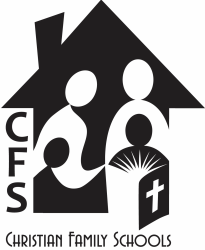 CFS membership, which includes HSLDA membership discount, and access to a variety of events sponsored by CFS each year. Please remember, we are here to serve you better! If you have an idea, let us know. We want to work with you to meet the needs of our group.